Ok I need to get some things clearish in my head. Does this mean that all data has been lost on the hard drives? You say that the system is trying to boot from the smaller drive, is it possible to tell it to look for the larger drive? I don't mind reinstalling the OS, but I'm not shure how to do it, my upgrade was a download from the Microsoft website so I guess that the activation code I have will still work, but how do I get the OS onto a system which will not get past the screen you have seen, how do I tell it where to look for the OS. 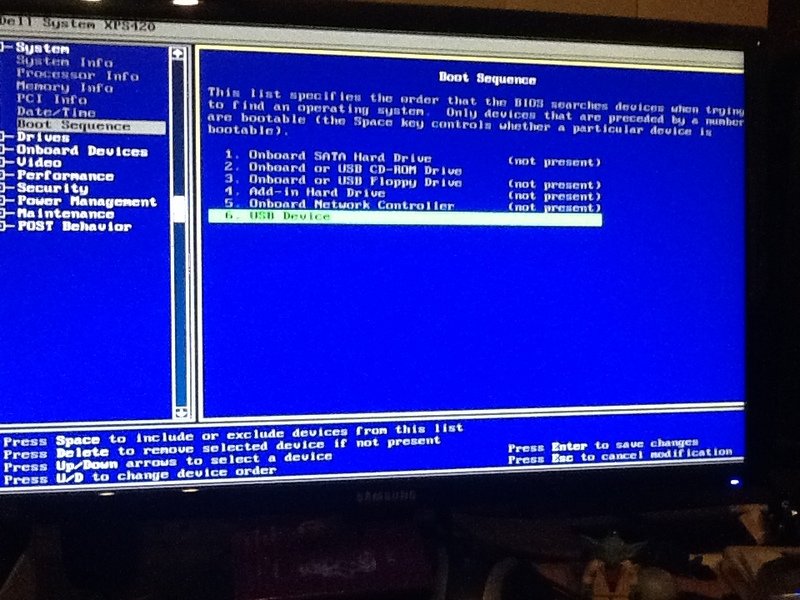 Also I have no idea how to set up the partition you mention. No, the reason why the larger drive will not boot is because there is no RAID software on the drive so Windows cannot read the drive, the drive is unbootable atm. If the Repair Upgrade option does not work out we will come back to the clean install, activation code and partitioning. NB: On older computers such as the Dell XPS 420 you are best to burn your ISO to a DVD and change the boot sequence to DVD drive first and the destination HDD second, this because many older computers cannot boot from a USB device. Not heard back from you Jim, do you still require assistance or is the issue now resolved, an update would be appreciated. old problem reoccurring. back on two feet, about to do as suggested in your last comment will get back when ready to proceed, from this point on all new territory for me. No problem, any questions let us know. iv just visited the Microsoft site and its the one i downloaded my current copy of windows 10 from. does it make any difference that i have the ISO from the original, installation on a USB drive? Or should i download the OS to a dvd? Try booting from the USB device that you already have. Ok how do I tell it to boot from the usb? OK, a step back if we can, firstly let me apologise, for my ignorance, you have been waiting patiently for me to get back to you and through my thoughtlessness I have not even had the curtesy to thank you and hope that you had a good holiday, or send my best whispers for the new year please do excuse me, your help is greatly appreciated. So, if I can when I upgraded to w10 it was a straight download from the MS site, during that process I was asked if I would like to create an ISO and did its on an 8gb usb drive, iv not used it before. Going back to the XPS, as per your text I have put the usb in the port and nothing happened, so on the screen was a statement, hit F2 for set up and up came the screen. Iv used the up and down arrows just to see the effect but have not gone any further. This is the first time iv been this far inside any program. Hi,could this be a PSU connection problem to any of the hardware? Tomorrow I am going to disconnect, clean and reconnect the connections between all of the boards and drives. To boot from your USB device you need to move it to position 1, save and exit. Did you notice that the BIOS says that there is no SATA device presently connected to SATA port 1. 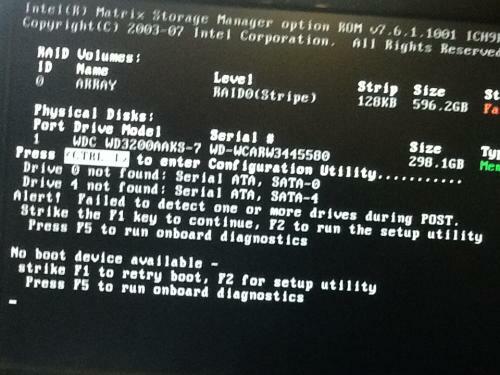 Possibly but the previous information suggests HDD failure. Will wait on your update regarding you cleaning and checking connections etc. Phill more for my benefit than yours but also to ensure that you have all of the information. 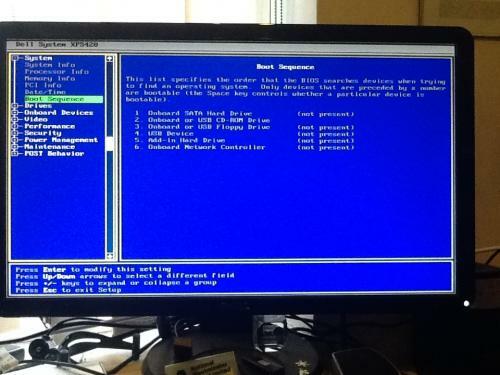 The unit recently suffered a PSU failure, the OEM and was replaced without issue, and on advice the BIOS re-flashed. The problem; this unit has had its operating system upgraded from windows vista to Windows 7 and then more recently to Windows 10, with the addition of MS Office 2016 Pro. All appeared to be functioning well for a number of months, with the unit being used daily for domestic correspondence,video conferencing,report writing, PowerPoint presentations, photographic editing, music conversion and film conversion, all of which it carried out well. Until, a household power failure occurred, and then the unit would not proceed beyond the DELL Bootscreen do the DOS screens. The unit has only the OS and operating software required for the task installed, all documents, and photographs are held on USB connected Hard Drives. Within the last 36 hours all connections between the motherboard and the installed additional items, graphics card,CPU, disk drives, combination drives, PSU and hard drives have bee removed and both sets of contacts cleaned, using lint free cloths and a task specific proprietary cleaning solution. All connections then re-made and the unit powered up. Note that at all times during this process anti static procedures were followed. As I do not possess an "Avo" successful " power to item" has been assessed visually. All DVD drive bays open and close as expected and with a disk in the drive the drive can be heard to "spin up". USB ports have been "proved" by the connection do an external DVD drive which has an operating installation/power on light, and with a disk in the drive the drive can be heard "spinning up"
PSU seems to be providing power in view of the above, also the PSU fan operates and the motherboard indication lights illuminate, as does the Internet connection. Hard drives (1x Seagate BArracuda 320 GB 1x Western Digital Caviar SE16 320GB) appear to vibrate (to the touch) when power is applied, however this could be vibration being transmitted through the chassis of the unit from the PSU. 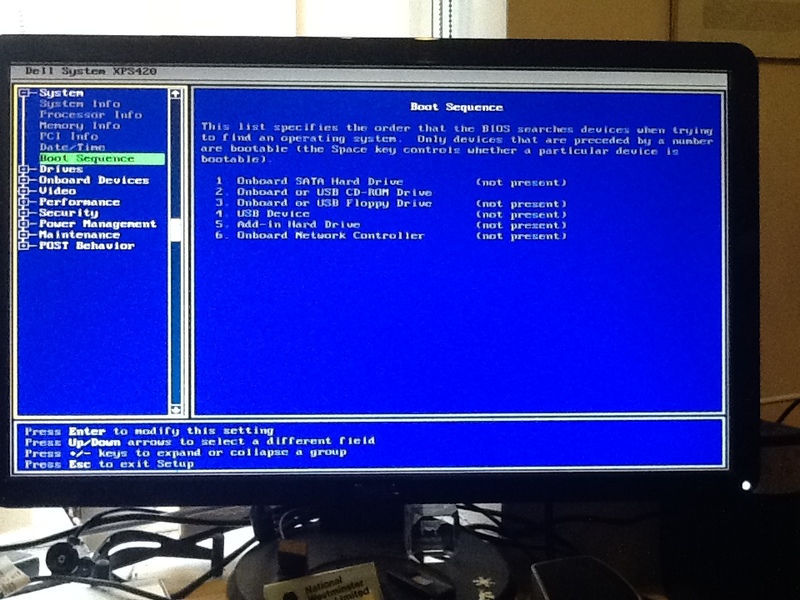 Graphics card appears to be operating as the onboard fan operates and monitor shows DELL boot screen and DOS screens. CPU is presumed to be working as when power is switched on the PC progresses to the DELL boot screen (photo1) therefore startup protocols must be running and to a point be effective. 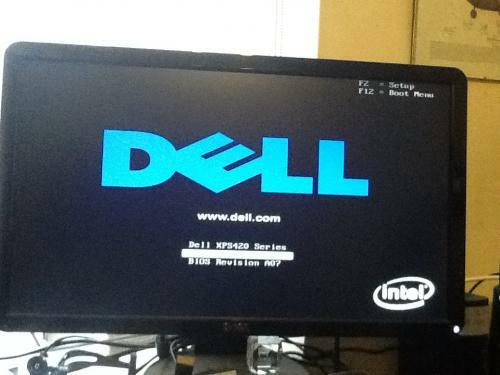 On boot up PC hangs at DELL boot screen and then the following screen is accessed after the F1 key is pressed (photo 2). And on pressing the F2 key the following blue screen , after scrolling down to the drives list (photo3). A number of attempts have been made to reorder the boot sequence without success and rebooting from a USB pen drive with the current Windows 10 ISO has also failed. Presumption is that if all other elements are working then the problem may lie in the Hard drives, either one, or both, if this is so replacement of the hard drives is a possibility but, which type, replace like for like, or add one or two Seagate Barracuda 1TB drives? However why does the system display that non of the drives can be found? How or why does the system display RAID 0 and what precisely does this mean, and how can this affect the operation of the unit in the future? Edited by Jb852, 15 January 2018 - 05:45 AM.